Particulate matters deposition on the leaves of S. robusta were investigated during three different seasons in two tropical forests: Barjora forest, situated adjacent to heavy pollution sources, and the control, Ballavpur Wildlife Sanctuary, West Bengal, India. 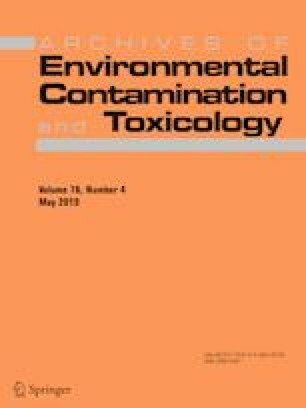 The purpose of this study is to measure the dust fall and foliar transfer of heavy metals (viz., Pb, Cd, Cu, Cr, Fe, Ni, Zn, and Mn) and antioxidant enzyme activities (peroxidase, catalase) in S. robusta, including the measurement of heavy metals present in the suspended particulate matter in ambient air. Dust fall on leaves and the total metal accumulation capacity of the plant were the highest during winter season with metal accumulation index of 9.82. Based on two-way ANOVA, it has been shown that there is a statistically significant difference in dust fall between the two forests and in different seasons. From cluster analysis, correlation results, and principal component analysis, it was suggested that heavy metals in Barjora may be due to the traffic emission and various industrial activities. Increased levels of peroxidase and catalase activities and the presence of high levels of reactive oxygen species in the leaves of the Barjora forest was an indication of stress state in this forest. On the basis of these findings, controlling the emission of pollutants from industrial and vehicular activities in that area is highly encouraged. The fellowships provided in the form of Junior Research Fellow (JRF) and Senior Research Fellow (SRF) by the Innovation in Science Pursuit for Inspired Research (INSPIRE), Department of Science and Technology, Government of India, New Delhi to the first author is gratefully acknowledged. The authors also thank the anonymous reviewers and the editor for their helpful comments and suggestions on this MS.